I dont know much about dairy cattle. Actually, I dont know much about ANY cattle, except what I see with our small Hereford/Angus herd. 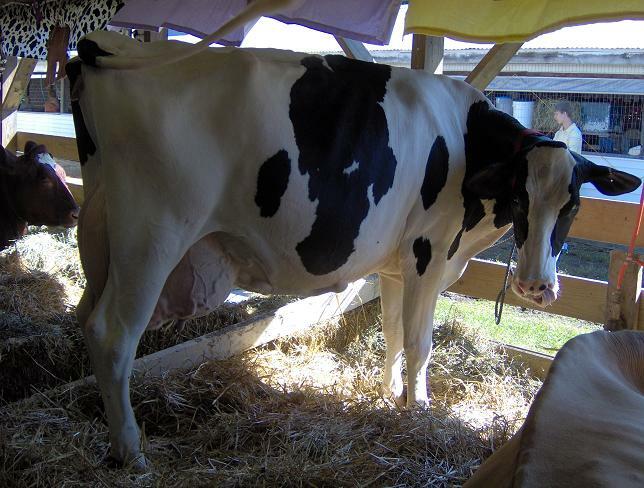 When we were at the fair last week, I wondered what these big bulging vein looking things were on the cows udders. I asked one of the owners there in the barn, and she said they were milk veins. The bigger they bulge, the better the judges like it. Hey! What are YOU lookin at??? I had no clue on milk veins either and I grew up and live in the middle of cattle country. See… we learn so much from your blog! 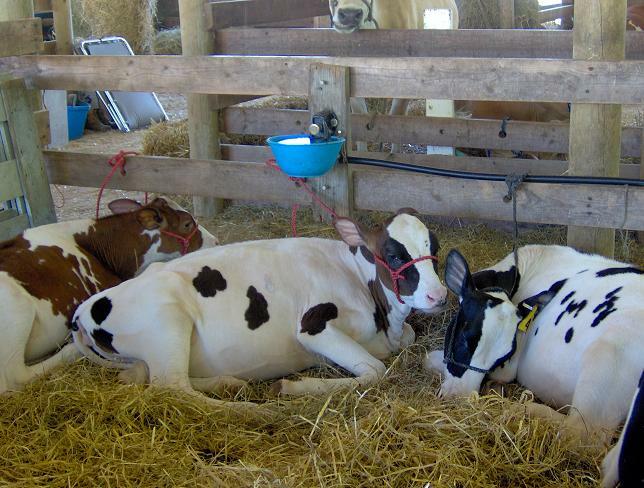 😀 And I am really feeling sorry for the mom of those triplet cows……. wow….. The triplets are cute as button, the milk veins I had never heard of.